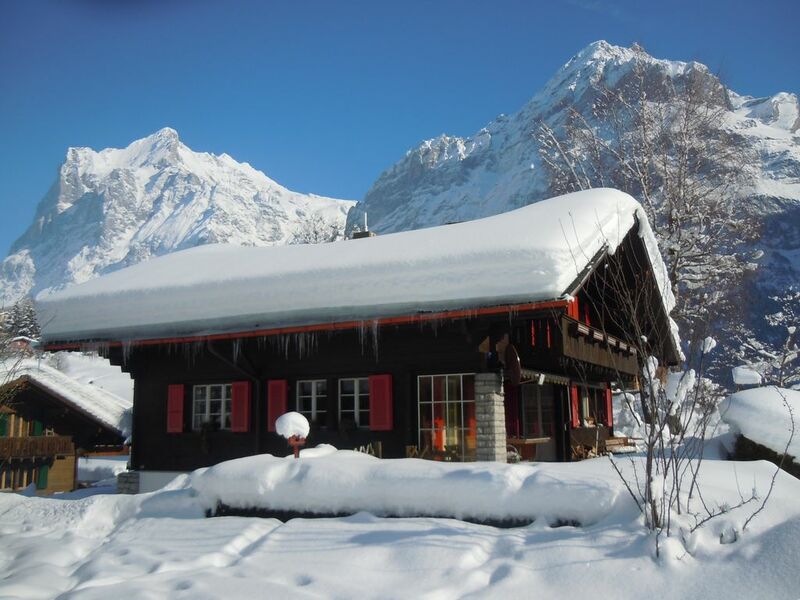 Cosy 2-3-bed apartment in a two family chalet. 59m2 on two floors. On the ground floor: kitchen, bathroom, living room with fireplace (wood provided) and exit to the terrace. Upper floor: shower, bedroom with wash hand basin, and a small balcony with panoramic views. In the bedroom, extra bed available. Another extra bed can be made up in the living room (sofa bed). 15 minute walk to the village center, 5 minutes to the train station and Maennlichenbahn reason, all year access with parking. Cot available. Barbecue and seating. Ski locker. The visitor taxes are included in the price. Bed, bath and kitchen linens are provided. Fondue set and raclette are available. Winter hiking trails (with or without snow shoes), and numerous toboggan runs are waiting to be explored on. The site stands out for its versatility in a natural environment. 'Once Grindelwald always Grindelwald'. Golf: 6-hole course (par 19). Grindelwald is the winter resort of superlatives and also the biggest ski resort in the Jungfrau Region. With the three areas First, Kleine Scheidegg and Mürren-Schilthorn Grindelwald offers unlimited skiing pleasure, with 45 lifts and over 200 kilometers of slopes. Grindelwald offers about 15 5 km cross-country trails at every level of difficulty. Skating and snow-sure cross-country trails are located in Grindelwald Grund.